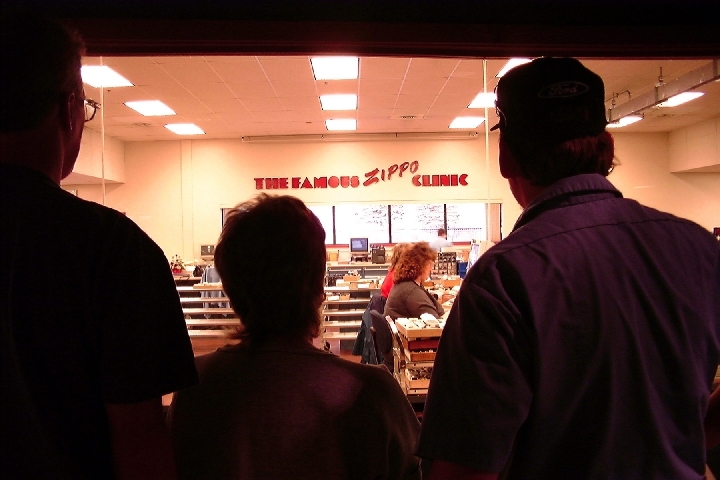 Shop the museum store where you will find hundreds of Zippo and Case products that include lighters, knives, outdoor camping products, fishing and hunting products, grills and accessories, clothing, and more. Get your Zippo windproof lighter or Zippo hand warmer engraved while you wait. Get souveniers for all your friends and family. Or, take a photo at the museum during your visit with your cell phone, upload it to our in-store zippo.com customizer to create a one-of-a-kind Zippo lighter souvenir. 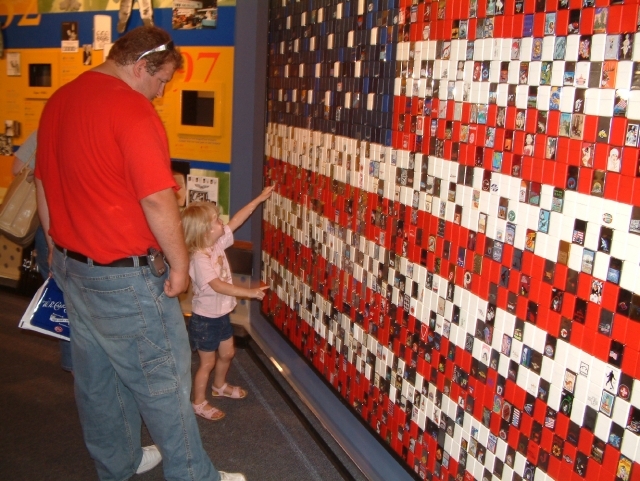 General Information: Dates Closed: Major Holidays, Distance from Airport: 10, Hours: Monday through Saturday 9 a.m. - 5 p.m. Sundays 11 a.m. to 4 p.m.
Can you guess how many Zippo lighters were used to create this American Flag? 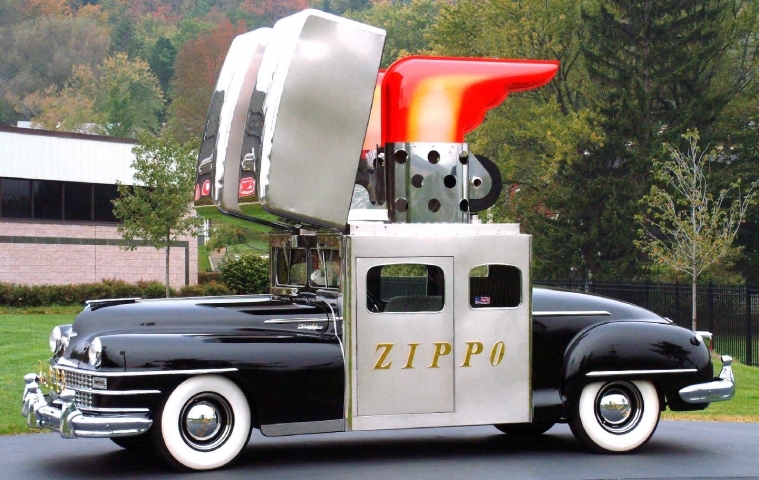 View the Zippo Car ... no, it doesn't run on Zippo Premium Fuel! Newly remodeled Zippo and Case store with hundreds of products and souvenirs to remember your visit. 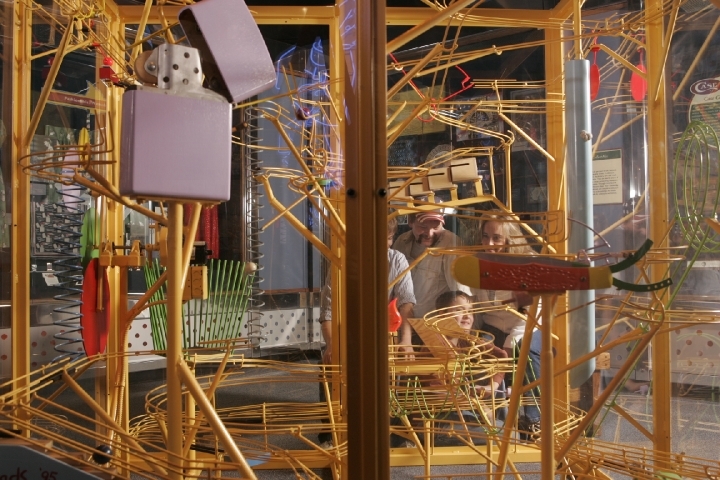 Watch the balls in action as they work their way through the auto-kinetic machine named ZAC. 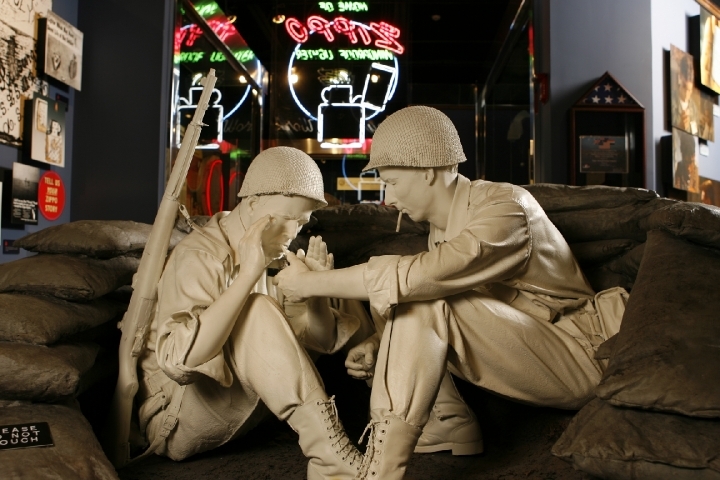 Watch while your Zippo lighter or Case knife is repaired by the repair technicians Monday through Friday 9 a.m. to 4 p.m.
Our tribute to all past and present military heroes. Thank you.